Financial institutions can drive success by defining their organization's purpose and making it the foundation for a strong top-down culture. The importance of a well-defined, articulated and acted upon purpose has never been more important for a financial services organization. 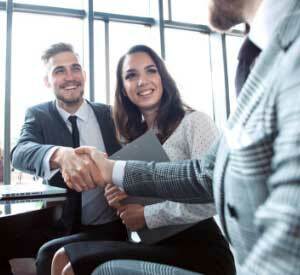 Unfortunately, most financial institutions lack an underlying purpose or lack the commitment from top management that motivates both employees and customers. Some organizations do little more than express their purpose as if it was an ad slogan that is changed with the seasons. 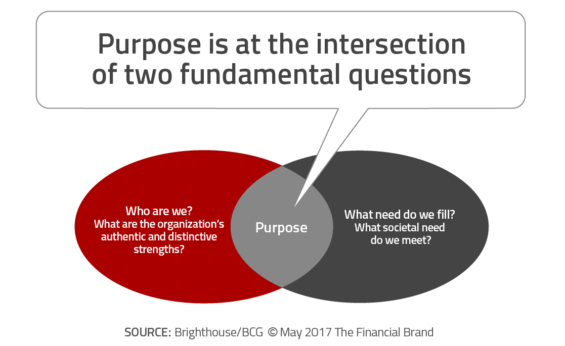 Some purpose statements lack differentiation and could easily be used by other financial organizations or firms in other industries. Some purpose statements are more similar to a ‘wish list’, with no real connection to where a firm is or where it can effectively go in the future. Finally, there are those banks or credit unions that create an effective purpose statement, only to do nothing to support the purpose on a daily basis to employees or customers. Presence. A purpose should be clear, compelling and noticeable. Strength. A purpose should be inspirational. Alignment. A purpose should reflect the company’s DNA, roots and history. Integrated. Are ongoing decisions consistent with the purpose. Advocacy. A strong purpose generates loyalty from employees and customers. BCG believes there are five reasons for the increased interest is purpose. Purpose Pays. 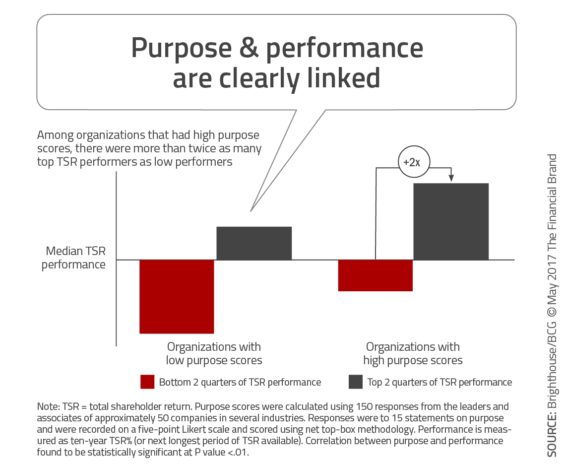 In an in-depth BCG analysis of the link between purpose and performance it was found that a deeply ingrained purpose correlated strongly with ten-year total shareholder returns. In other words, when organizations view purpose as instrumental to success, and employees are encouraged to embrace purpose, good things happen financially. Rising Aspirations and Shifting Priorities. BCG points out in their research that more leaders are making a commitment to a ‘triple bottom line’ of people, planet and profits. There is also a focus on a strong legacy for leaders which reinforces the concept – and commitment to – purpose. Guiding Compass During Change. 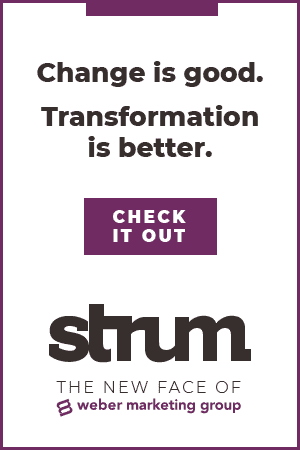 With change being a constant, and several transformations occurring within organizations at the same time, purpose becomes a ‘true north’ principle that can ensure that all transformations are heading in the same direction. Purpose as an Intrinsic Motivator. The use of traditional positive reinforcement and non-performance penalties has given way to using purpose as an intrinsic motivator that guides and aligns behaviors. Sharing a purpose and being part of a bigger contribution to the community is a powerful motivator. More Meaningful Digital Interactions. As digital technologies and interactions increase, purpose enables digital transactions to be more meaningful. In addition, since most digital transformations are bottom-up, the principle of purpose serves as a guide and motivator. The development of an authentic purpose integrates both internal and external components using four steps. Discover. The ‘discover’ step requires an analysis of a firm’s culture from the perspective of both employees and customers. Determining what a firm represents currently and the aspirations for the future. Many times, outside leaders are brought in to discuss community needs. With outside leaders, SunTrust formulated its defining purpose: to illuminate and energize a world in need of financial well-being. Articulate. 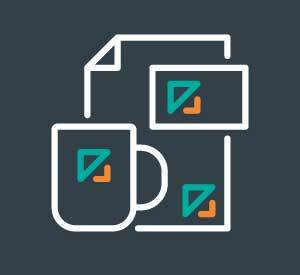 This step requires the development and communication of the purpose statement. Many firms use a video for this step to ensure a consistent message. Activate. After the articulation of the purpose, it is now time to leverage leaders throughout the organization to turn words into actions. This is the stage where the customer base needs to feel the difference that has been articulated. Embed. 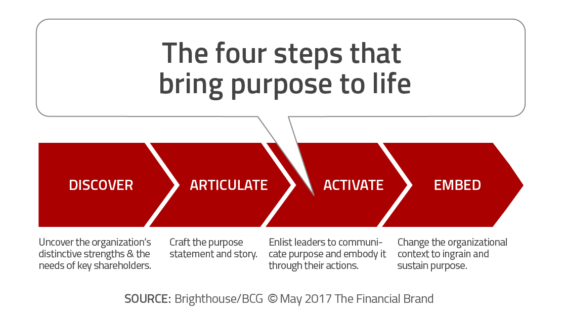 Articulating and activating the organization’s purpose will only be impactful if the purpose can be sustained and embodied on a daily basis, according to the BCG report. No part of the organization can be left on the sideline as the purpose needs to be brought to life in action and in measurement. 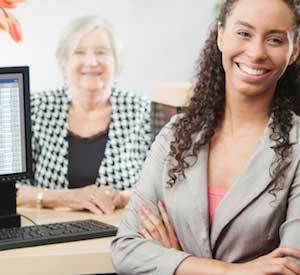 SunTrust made their purpose a central focus of their recruitment process. As an example of how purpose becomes central to all that an organization represents, SunTrust redesigned its executive floor at headquarters to communicate its purpose. Interactive video walls feature stories from team members and clients that demonstrate the company’s purpose. This article was originally published on May 22, 2017 . All content © 2019 by The Financial Brand and may not be reproduced by any means without permission.